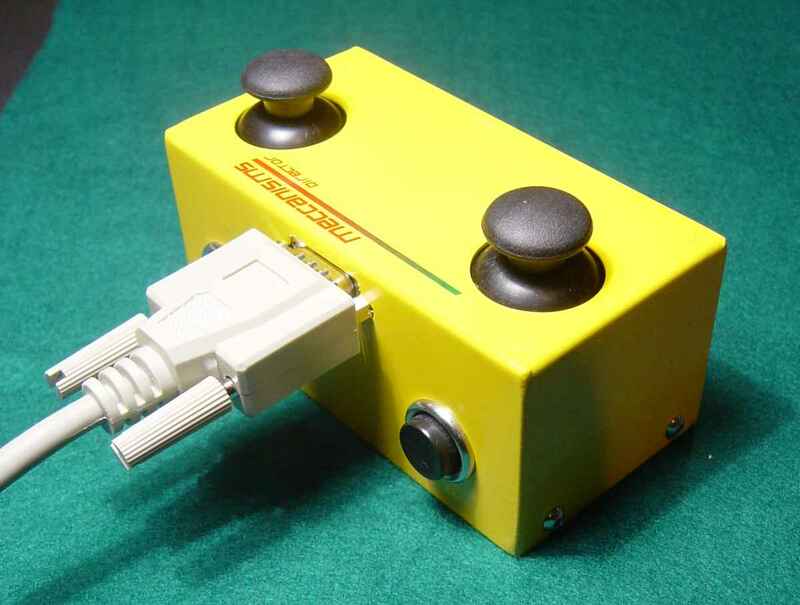 Included in the Meccanisms 400 Outfit is the Meccanisms Director, a control console with two joysticks and buttons to allow direct control of your applications. You can control complex models using the the Director and MotorVator, with no programming required. 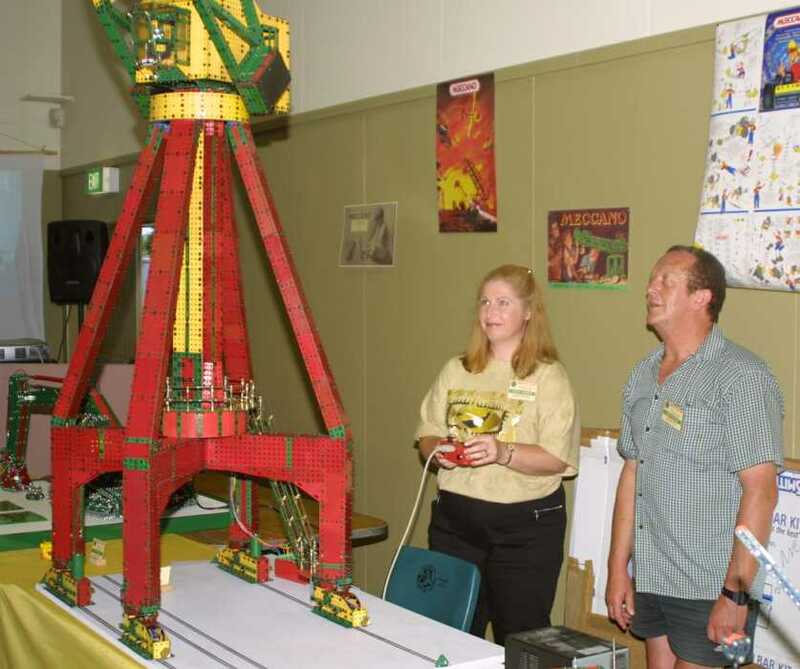 For example, at the Easter 2005 New Zealand Federation of Meccano Modellers Convention, Simon Moody exhibited the largest model yet controlled with a Motorvator! Simon brought each pair of motor wires to the base of the crane, then connected each pair to one of the Motorvator motor ports. He then connected the Director and selected Pre-programmed Mode 1. Using the Director Joysticks he then controlled the crane in a prototypical manner using fingertip control as would a modern day crane operator.The crane then operated flawlessly for the two days of the convention. The power and simplicity of the MotorVator was admirably demonstrated by the fact that Simon only connected the motors to the MotorVator for the first time on the morning of the Convention!